What's holding your organization back today? What's keeping you from achieving more? Office 365 gives you the tools to overcome the limits of time, place and complexity. In addition to collaboration tools that help you work as a team, the Office apps you know and love are better than ever. 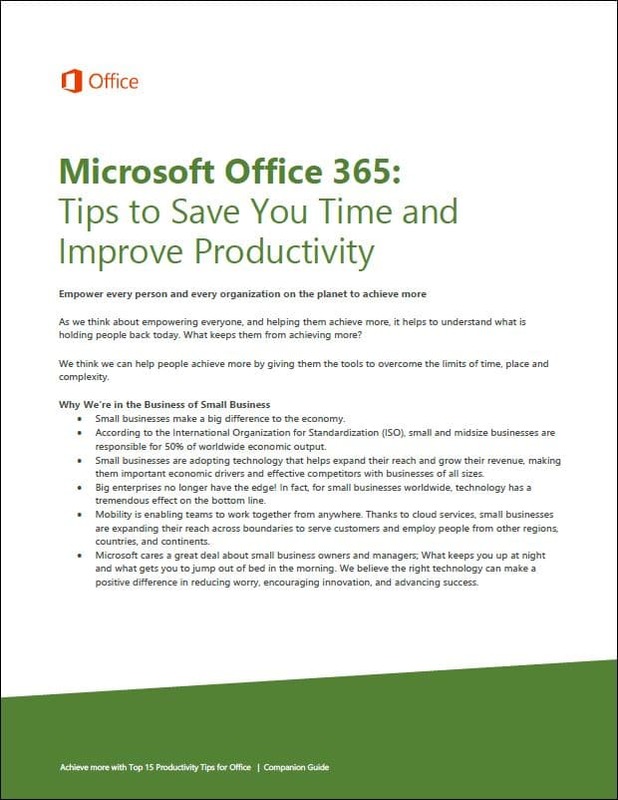 This guide offers 15 tips in Office 365 to help you save time and achieve more.